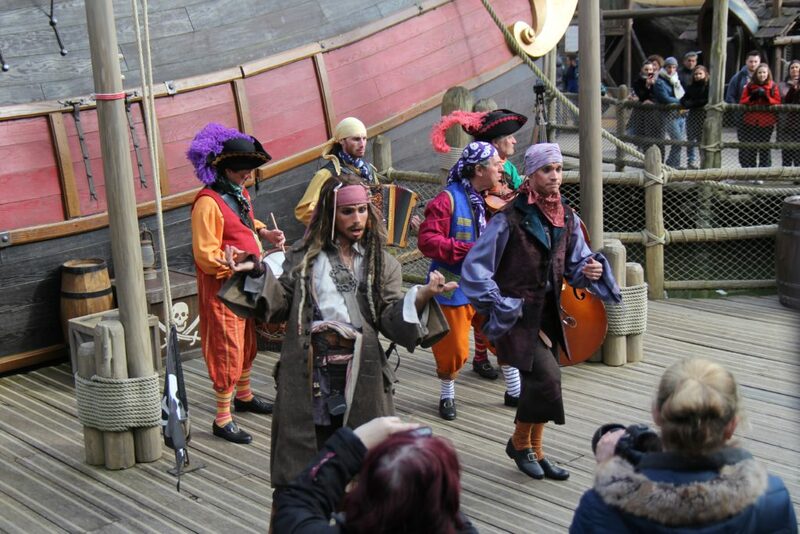 New this year at Disneyland Paris is the Pirates and Princesses Festival. 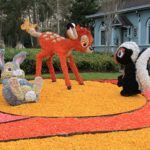 Where last year Swing into Spring had to make way for the 25th Anniversary, this year Pirates and Princesses Festival is the new springs offering at the French resort. 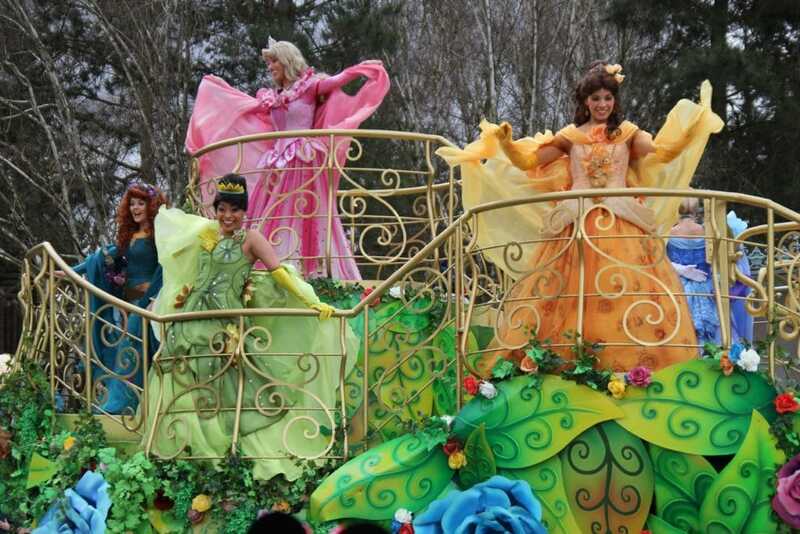 The Pirates and Princesses Festival is a new offering at Disneyland Paris which has replaced Swing into Spring. 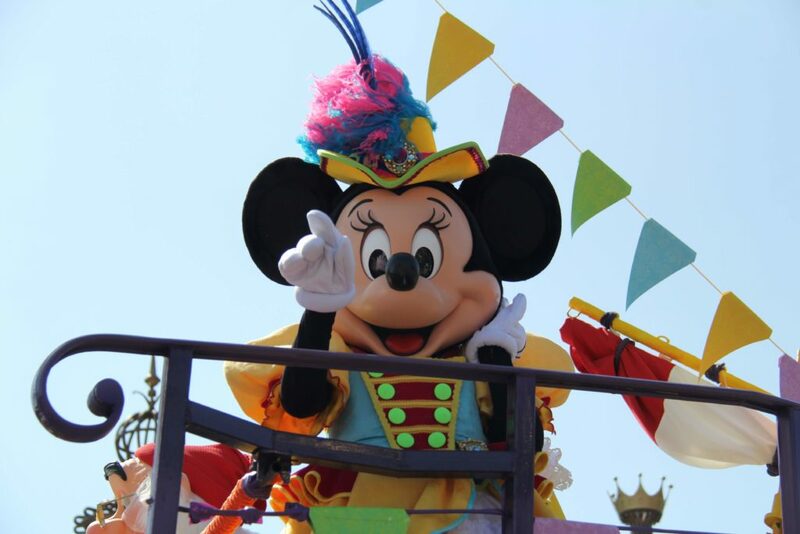 During the festival, guests are invited to join into the fun of choosing between Team Pirates or Team Princesses. You can read more about what the festival offers here. 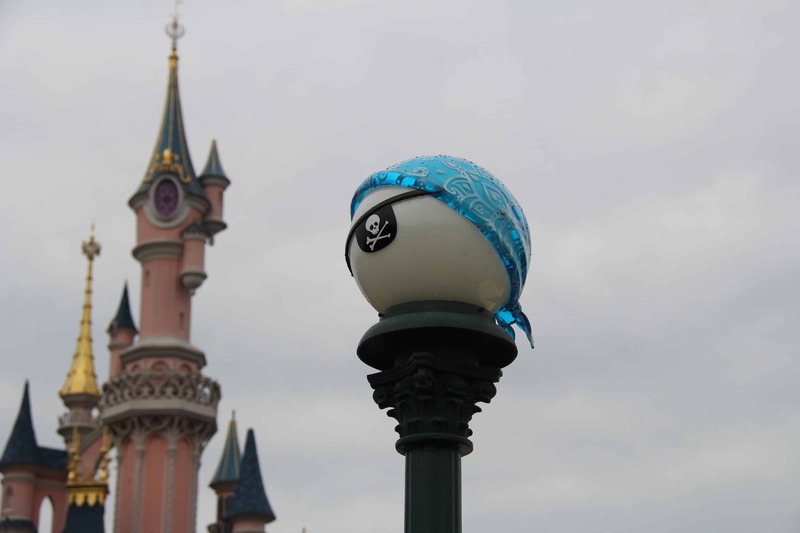 Disneyland Paris normally goes all out with decorations, but the decorations for the Pirates and Princesses Festival is quite limited. This is also due to the fact that the the resort is still celebrating its 25th Anniversary. 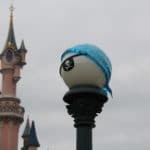 On Central Plaza you will find some lamp posts with banners for the festival, and the lamp posts near the stages feature either a pirate bandanna and an eye patch, or the well known Mary Poppins style Swing into Springs lamp covers. 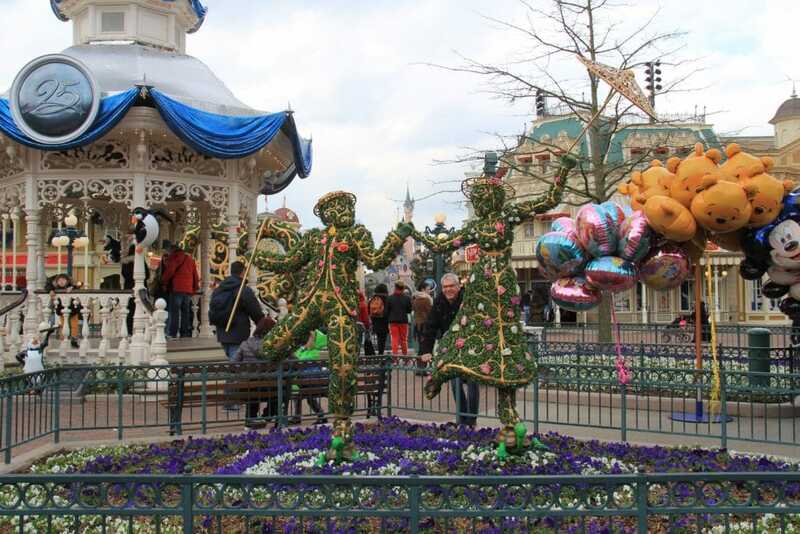 Town Square has received a spring make-over. 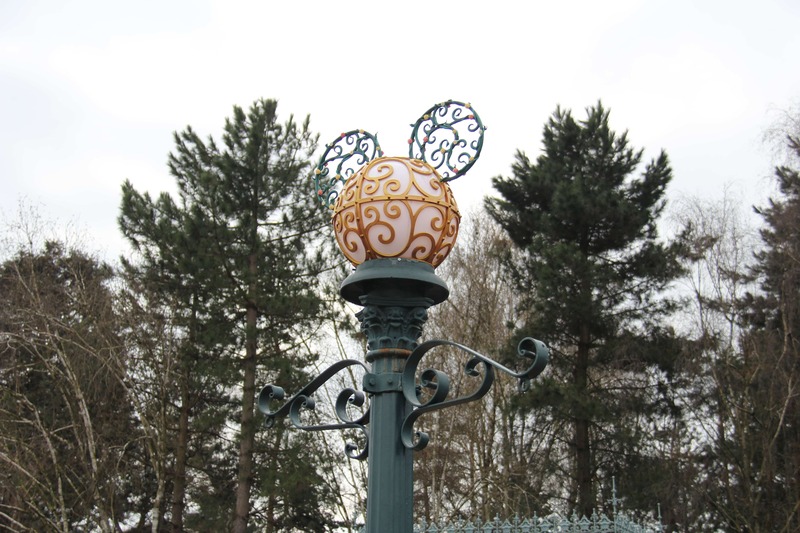 For returning guests you will recognize these decorations from previous years, but they still look really nice. Bert, Mary and the kids dancing in the flower beds. And the penguins can be found on the gazebo. 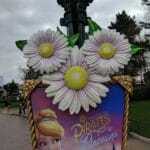 Springs has arrived at Disneyland Paris. 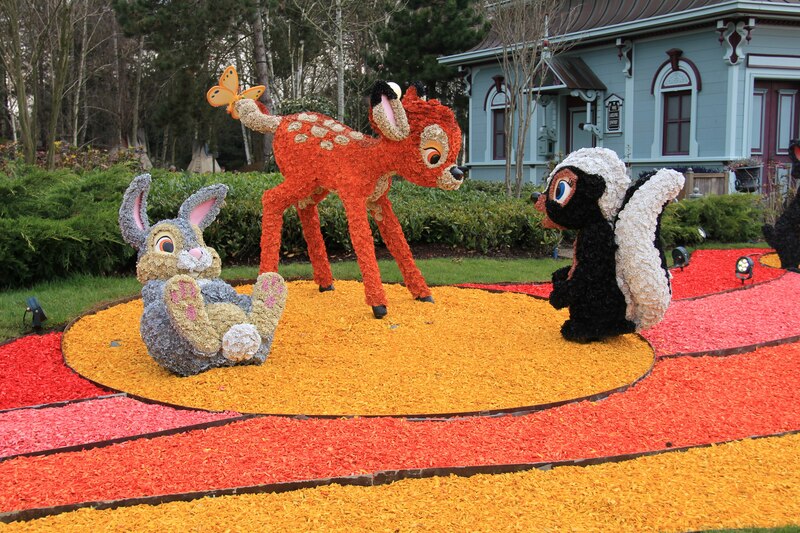 Just before you enter Central Plaza, on the left hand side next to the tech booth you will find a familiar flower bed with some members of the Aristocats and Bambi. This is a nice addition to the overall feel of spring at the park. The flower beds that hold the stages on Central Plaza also have a received a floral make-over. 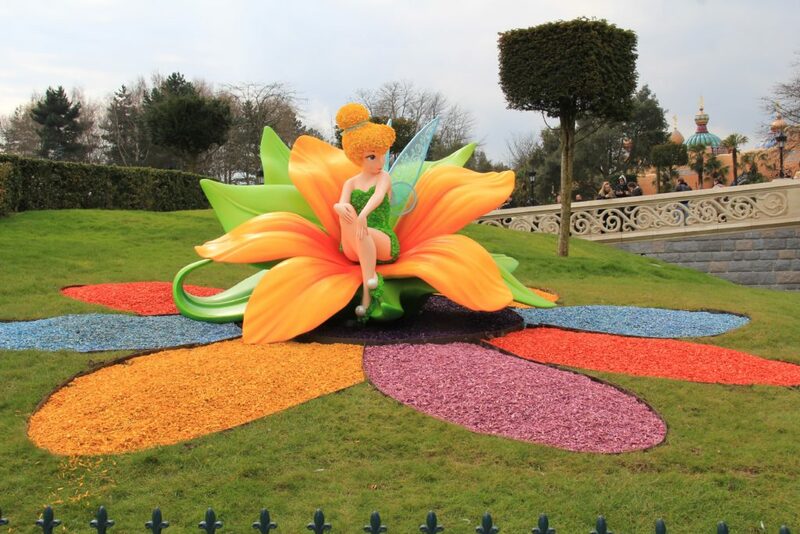 When you walk over to the Royal Castle Stage you will find Tinker Bell being all sassy in a huge flower topiary. This is also a returning decoration, but the place makes a lot of sense and we were excited to see her again! 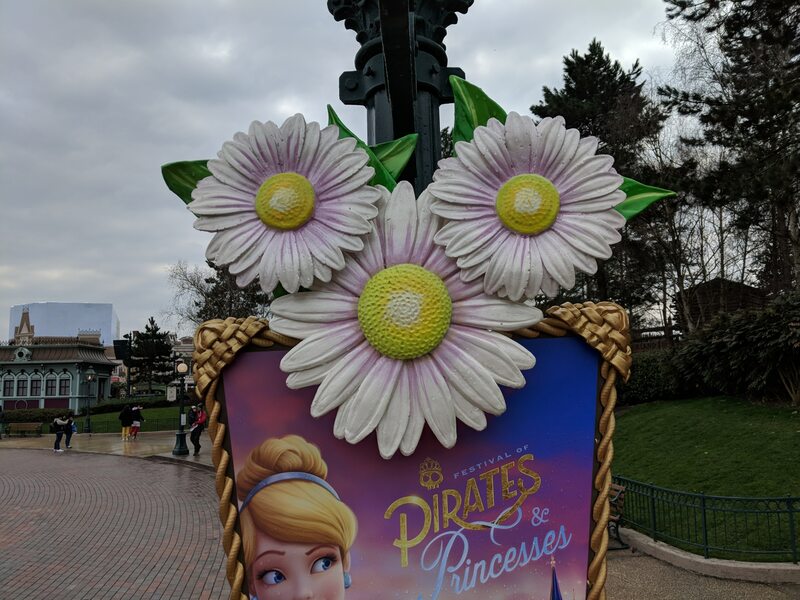 There are some nice decorations to be found throughout the park, and while they have the spring feeling, we do think it misses the overall feel of Pirates and Princesses. Several times day, guests can join in a sing along on Central Plaza. For this occasion, stages have been built in the flower beds. 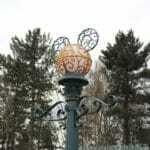 This does mean that part of the 25th Anniversary Decorations has been removed. The stages are nicely built however, and give guests enough options to view this show. Before the floats arrive at Central Plaza, they first make a stop on their way down the parade route. Both floats start on opposite sides, either at Fantasyland or at Town Square. Before the floats reach Central Plaza, there will be a short parade show. Because of this, it will take about 20 to 25 minutes before the show on Central Plaza starts. So while you think you are missing out on the action, just wait! 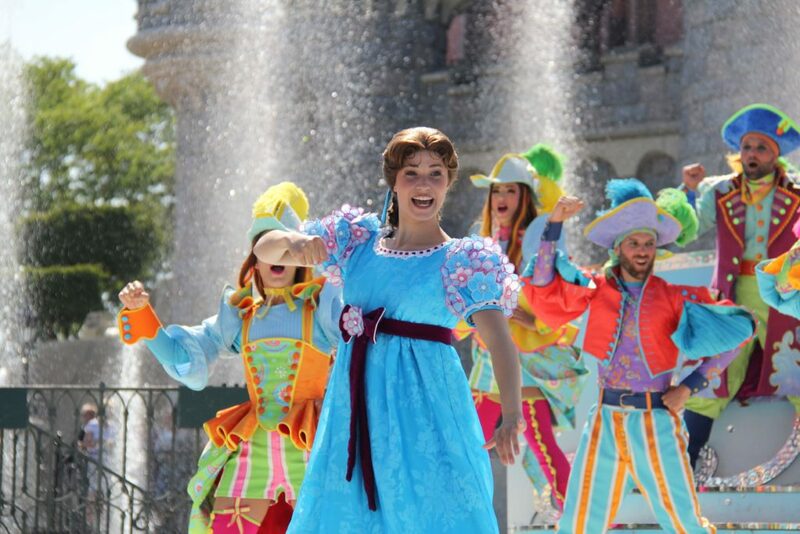 During the show, the two floats bring the Pirates and Princesses to Central Plaza. When both floats have arrived, the Princesses and Mickey take place on the two stages on the left side. 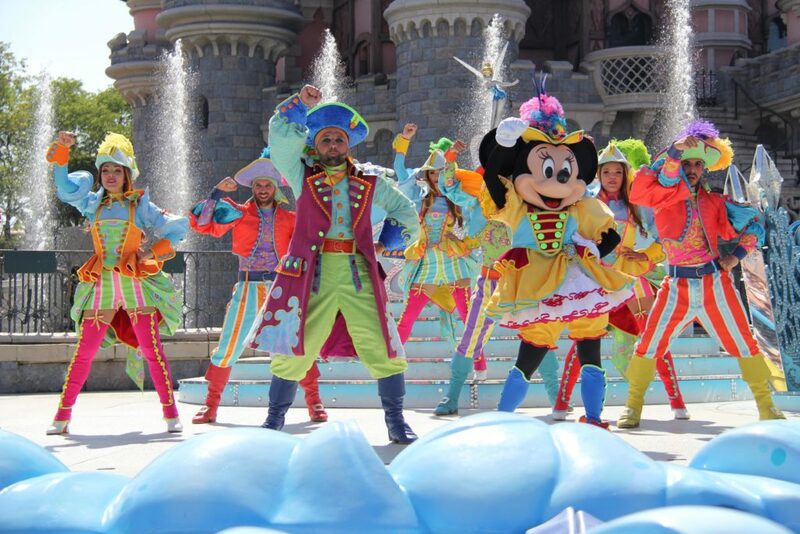 The Pirates along with Minnie, Jack, Smee, Captain Jack, Wendy and Peter Pan take the two stages on the right side. This should help you decide which side you want to take part in. Now back to the actual show on the stages. While you have to make a choice for which side you will be on (#teampirates or #teamprincesses) the experience will be the same, whatever side you choose. When the song along starts, the performers make their way on to the stage. The first two performances we saw were a bit lost on us as we stood ‘on the back’ of the stages and therefore missed the performance as the dancers never turned around. Later that weekend we noticed that the dancers started to turn around and dance in all directions. This at least makes sure that everybody can participate and enjoy the singing and dancing. The sing along is really nice from the moment it starts until the moment it is over. The song is really catchy, and the dances are easy to learn. All this makes it a very interactive show. 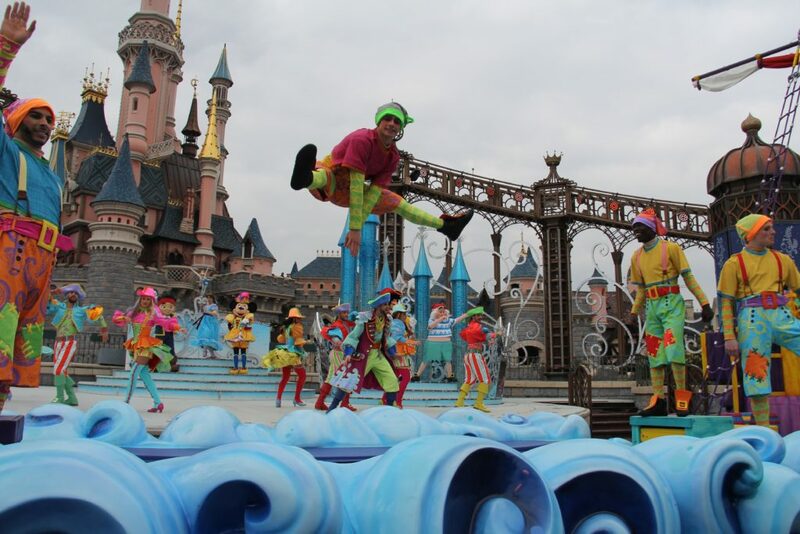 Next to that, the performers and characters are really energetic which rubs off on the guests. We have not had a moment in which we were not moving along or singing along, and with us guests that were standing next to us. Also the crowd flow CMs are really into this new festival and will break out in an impromptu dance along the parade route. A few times a day there is a show in front of the Pirate Galleon. It is a great show for kids as they are invited to become a pirate. During the show several groups of kids are invited to participate in some pirate activities. This could be hoisting the flag (hence the name of the show), screaming as a distraction, and dance like a pirate. At the end of each group’s initiation the participating kids are presented with a Pirate Diploma. We liked the show, it is interactive, and you can see kids are really enjoying themselves. Although the occasional language barriere occurs. We do feel that the show is a bit of an afterthought. The location isn’t all that great (it is really small) and it is far from the activities on Main Street USA. We believe if they would have used one of the parade floats of #teampirates and positioned it where they Advent Calendar was located, it would draw more of a crowd. 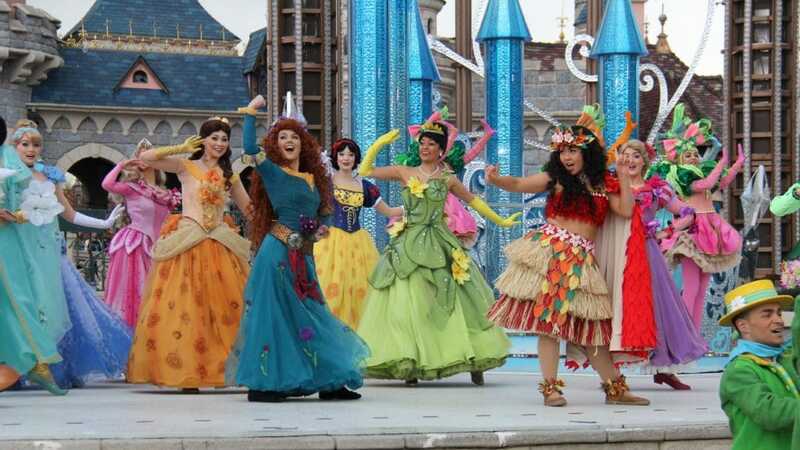 The Princesses and the other Disney characters have received updated outfits. And they all look amazing. 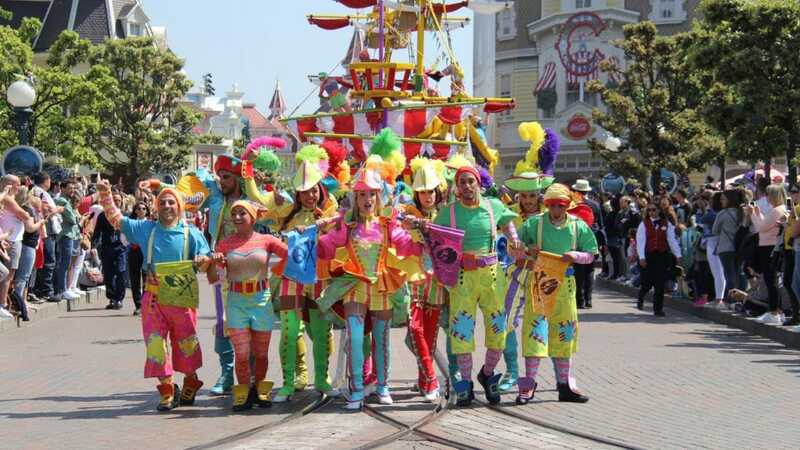 The theming is spot on but you still see the original outfits underneath the added festival theming. While it seems like the pirates have been hit by a bucket of bright neon paint, it does fit well with the overall playful Pirates theme. And for the Princesses, this even looks better. The added touches of spring flowers to their ‘standard’ outfits make you directly recognize them. As the floats for the Pirates and Princesses make their way to Central Plaza, you have enough opportunity to see them alongside the parade route. 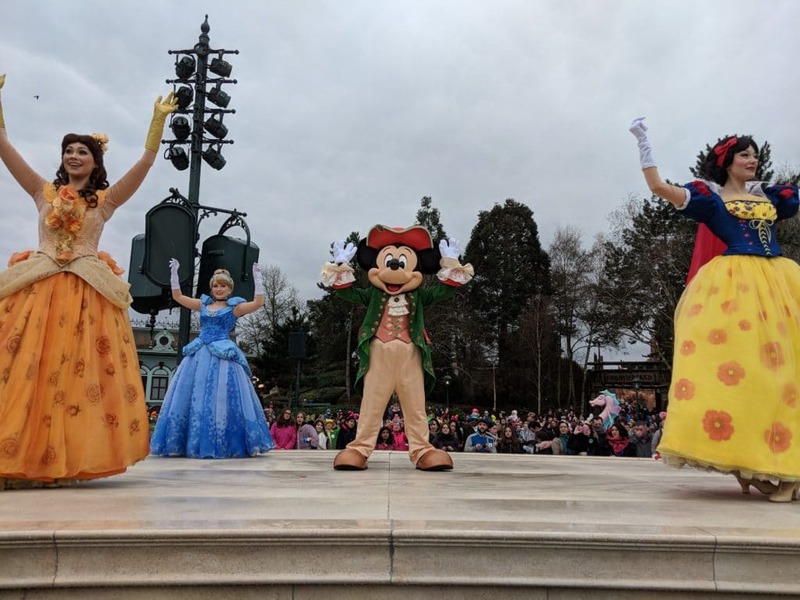 When you position yourself well, you can catch the performances on Main Street or on the Castle stage. 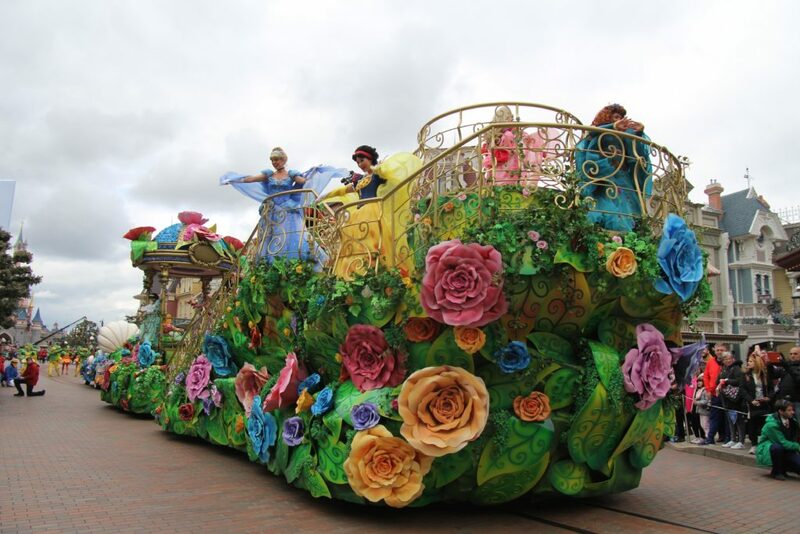 We did notice that after the Central Plaza performances, the floats move faster down the parade route. So don’t blink as you might miss them. We were there for the opening weekend of this new festival and missed all the food. Not that a lot of food was on offer, but the standard pastries themed to the festival have been made available in the days after the start of the festival. Unfortunately we haven’t been able to try them, but we are not a huge fan of all these cupcakes, cakes, pop-tarts etc. For merchandise we were only able to see the pins that have been released, but these aren’t even specific for the Pirates and Princesses festival. Looking at the other resorts around the world, it is time for DLP to up their game on the merchandise, especially as we had some great merchandise for Swing into Spring. One thing we noticed and we discussed a few times between the two of us is that Mickey is part of #teamprincesses and Minnie is part of #teampirates. Now this could just be us taking it too far, but this really encourages kids to also look to the ‘other side’. Boys can be a prince, or like princesses. And there are enough girls who can be a pirate. We love how the creative team has done this. But again, we might take this too far in our thinking, but this is how we saw it. 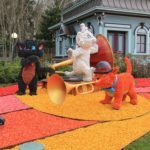 We are huge fans of Swing into Spring, and therefore we were kind of bummed down that it was again not returning in 2018. So going into this festival, we were quite skeptical. But as we had two days to enjoy all the offerings of the Pirates and Princesses festival, we took our time. From the first time we heard the song on the Central Plaza we were in love. 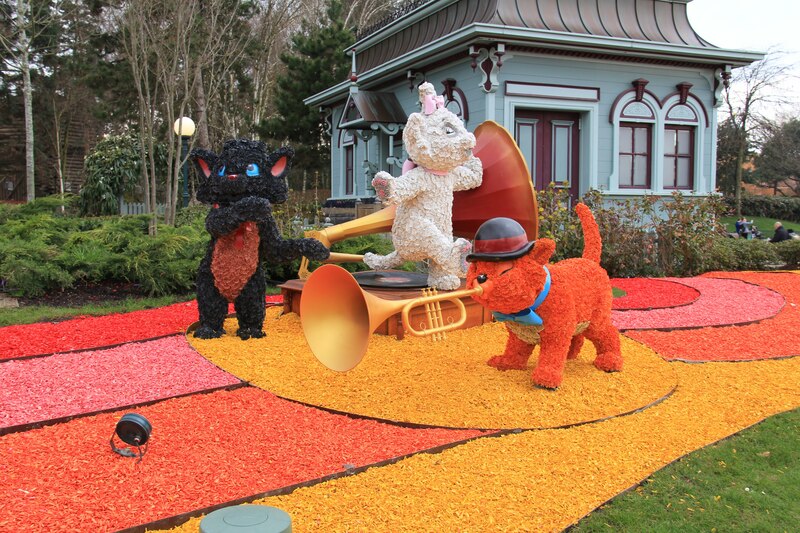 With this festival, Disneyland Paris has a new hit at hand. We do hope that when this festival returns next year that some more (themed) decorations and foods will be added, and some unique merchandise will be made available. But even without that the Festival of Pirates and Princesses is must-see at the Disneyland Park. In May we were able to go back to the resort for the InsidEars event, and took the opportunity to see the Pirates and Princesses festival one more time. And we stand by our initial review. The festival is a huge hit, and with the sun out it is even a bigger crowd pleaser than anything else. 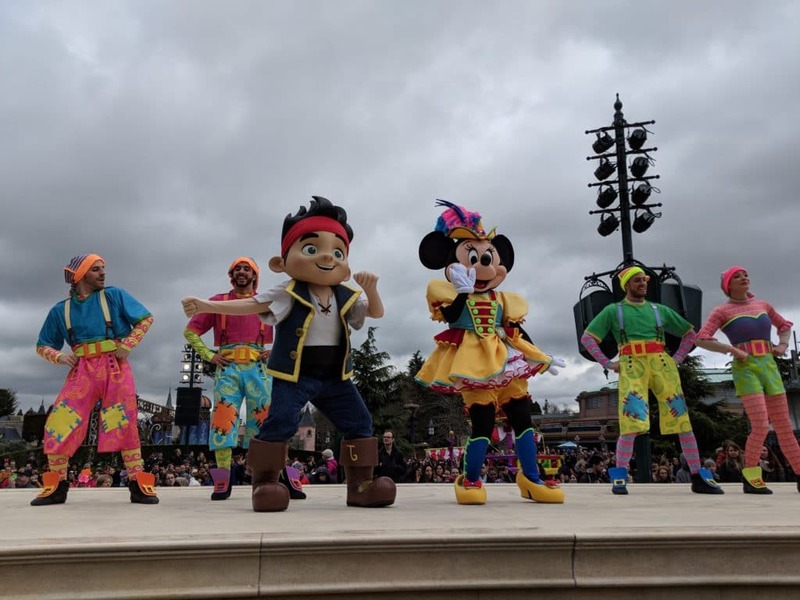 Performers even made their way onto Central Plaza and danced alongside guests.